Governing by referendum might be good politics, but it’s bad policy. It’s just not a good idea to circumvent the elected body that voters have entrusted to represent them. Sadly, that issue has for now been relegated to the category of academic debate in Albuquerque, where it is way too easy to get an initiative on the ballot. So attention now turns to the mechanics of how this works in the context of a city election. In that regard, state District Judge Alan Malott and now the state Court of Appeals have made important rulings that mean voters will have the opportunity to read the proposed ordinance they are voting on, and if they can get through it, gain a feel for its scope and potential far-reaching impact. The benign-sounding “Healthy Workforce Ordinance” is set to appear on the Oct. 10 city election ballot, barring a successful attempt by several business groups to knock it off on the argument it is unconstitutional “logrolling” that combines two separate issues into one for purposes of voting. 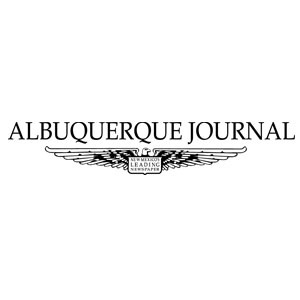 Opponents also argue the referendum isn’t allowed under state home-rule provisions that govern Albuquerque. While paid sick leave is a reasonable policy discussion to have – and the City Council would be an appropriate venue to vet proposals, weigh unintended consequences and draft legally sound legislation – the proposed ordinance is seven pages chock-full of unreasonable requirements ranging from coverage of temporary workers to onerous record-keeping requirements. It would eviscerate existing PTO policies now in effect at many companies, and, incredibly, it would enact a presumption of retaliation for any employment action that followed an employee’s use of sick time.